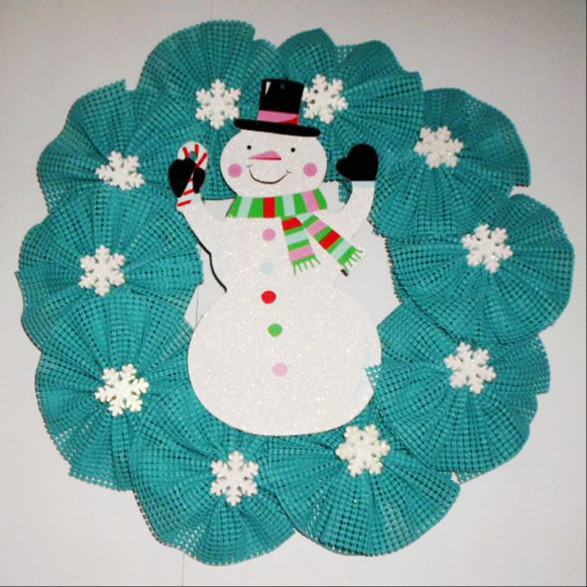 ***Made with shelf liner and accented with coordinating snowflakes to showcase the SNOWMAN in the center. Measures approximately 16 inches. Indoor and outdoor pieces but my wreaths do appreciate a little shelter from the elements to stay in pristine condition.